How did you guess, lol? 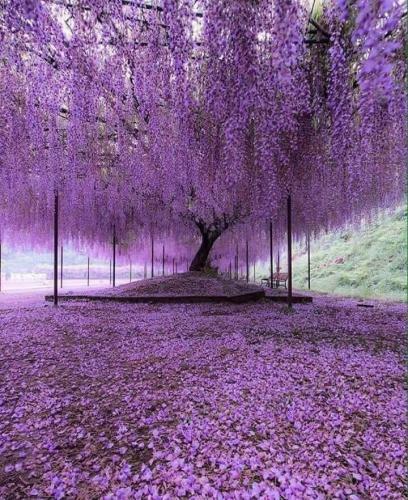 It has a brother/sister only l44 years old in Ashikaga Flower Park, Japan. We might have the sturdy Liberty Tree and the stately Sequoias, but none can beat Japan for the delicacy of their beautiful flowering trees.